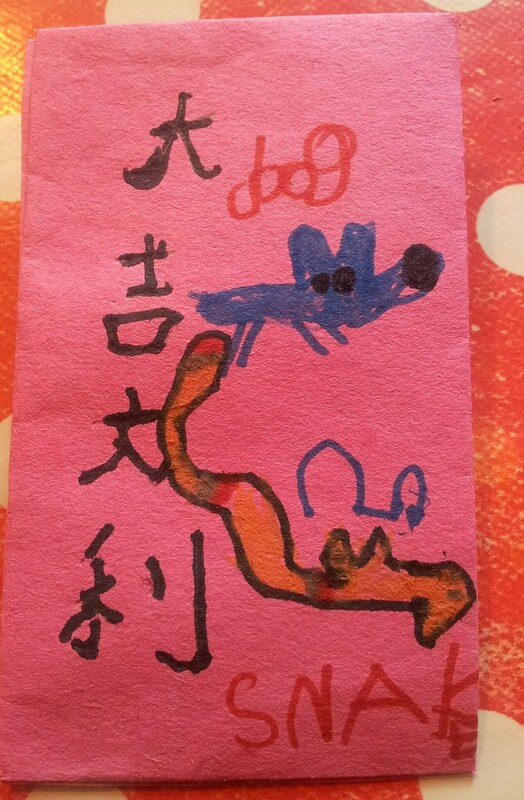 I can remember learning about how the Chinese New Year is celebrated while I was at Primary School. We all sat with our legs crossed, squashed together in the tiny TV room watching a video showing a Chinese family celebrating. I think I sat and watched the same video every year. 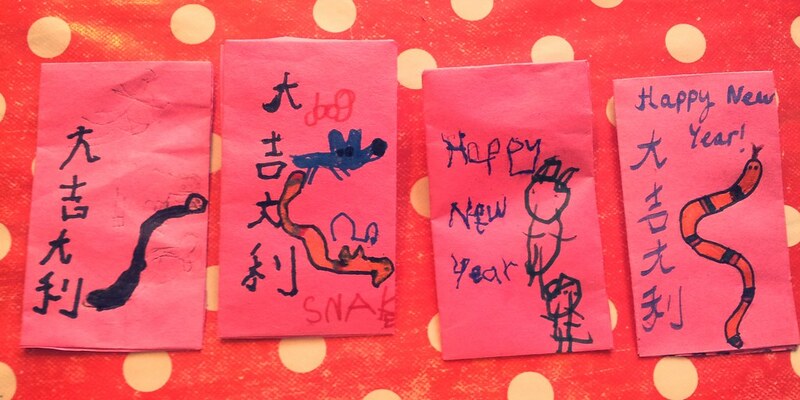 I always wished that we could make the red money envelopes that Chinese children are traditionally given for good luck during the New Year. We never did, but as soon as I was a Primary School teacher I was making them with the children in my class. 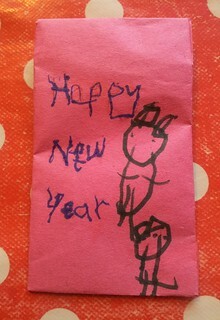 Now, of course, I make them with my own children each year. the envelopes in front of the relatives out of courtesy. 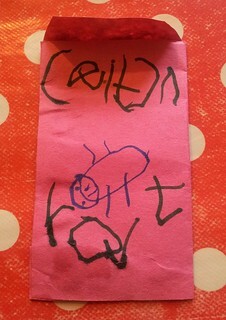 I usually buy red card and gold pens for our money envelopes, but as our craft stores are overflowing, I am trying to use what we have (and this saves me money too!). 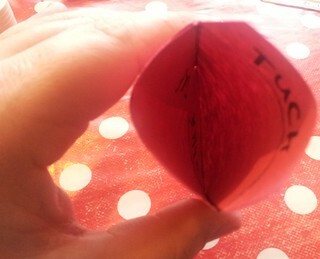 So instead we used some red sugar paper that we have lots of. 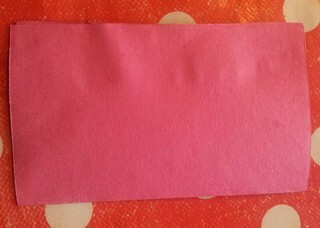 Red sugar paper always looks more pinky than red should, but it’ll do! 1. 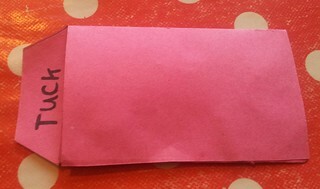 Draw envelope template onto red paper. 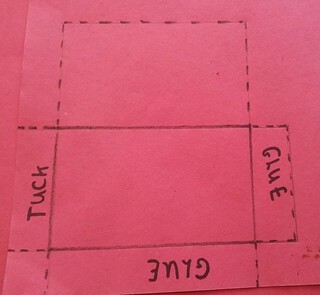 We used rectangles of 6cm x 10cm. We used tabs of 2cm. Your template should consist of two rectangles, one tab along the long side and tabs either side of the short side. 2. Cut out template. Score along folds. 3. Put glue on the long tab. Fold in long tab. 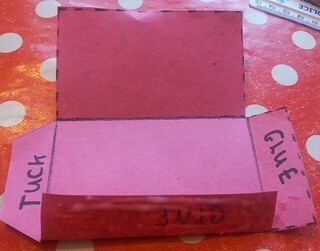 Fold in short tab and glue to long tab. Put glue on short tab. 4. 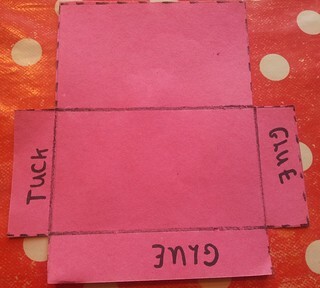 Fold the tab-free rectangle onto the tabbed rectangle. It will stick to the glued tabs. 5. 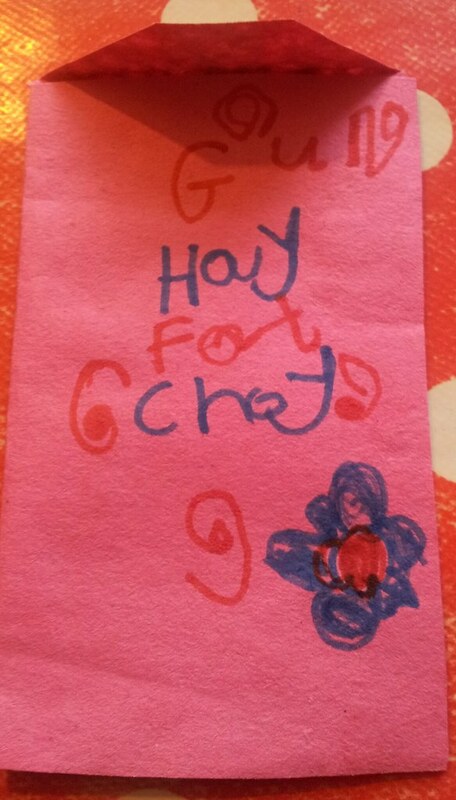 Decorate your red money envelope. 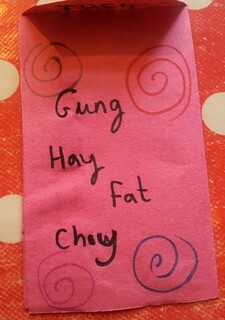 You could write “Gung Hay fat Choy”, “Happy New Year” or “Good Luck and Good Fortune”. 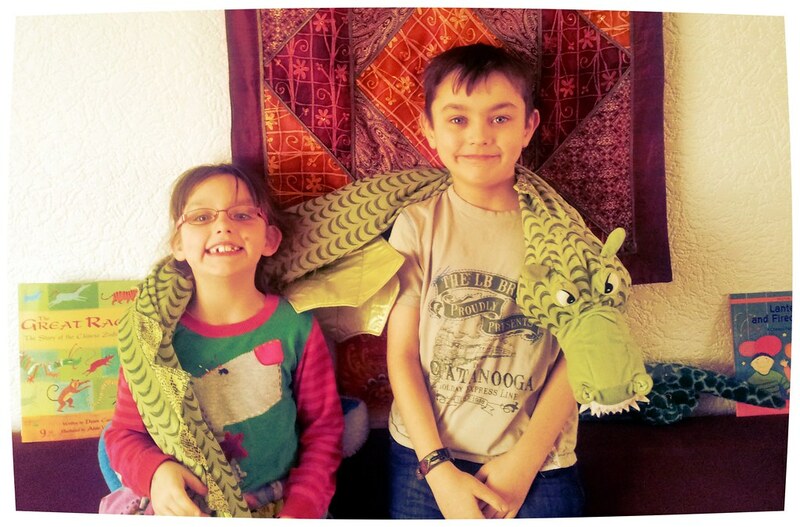 You could draw a Chinese Dragon or a snake, as it is now the Year of the Snake. You could even draw the animal that represents the year that you were born. I was born in the the Year of the Monkey! 6. Put your money into the envelope. My kids won’t be having notes in theirs! 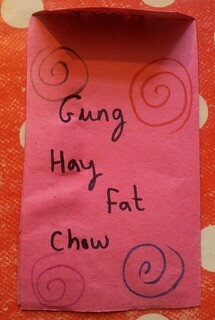 We will exchange these after our Chinese Feast tonight! 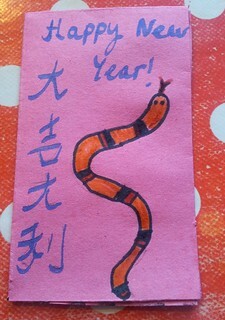 More Chinese New Year Crafts coming up! There were too many to fit in one post!